Perfect place to stay while in Cozumel! 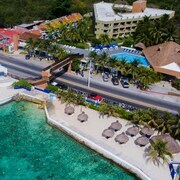 A nice little hotel in a busy part of Cozumel. Overall the room we would give a 3.5/5LocationThis hotel definitely has the best location in Cozumel. There are several good restaurants in the north end of Cozumel to walk out to in the evening. Only had a few days on Cozumel and enjoyed every minute of it. Tips for first-time cruisers. Opens in a new window. A dive vacation in Cozumel. Opens in a new window. Cozumel for cruisers. Opens in a new window. Lush paradise in Cozumel. Opens in a new window. It was excellent service and food ,excellent place for vacation with kids!!! Location of hotel was amazing. The lobby and pool area were top notch. Where to find Cozumel hotels near an airport? Where can I find hotels in Cozumel that are near tourist attractions? 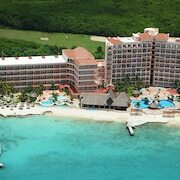 From the budget level to the more exclusive, Cozumel offers plenty of first-rate hotel and apartment options. Expedia's booking page currently features 61 places to base yourself within a 0.1-kilometre (0.1-mile) distance of the center of Cozumel. 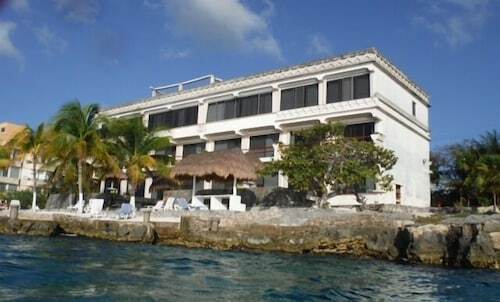 Some of the hotels that are near the heart of Cozumel are the Alicia's Bed & Breakfast and Iztaccihuatl Apartments Cozumel. 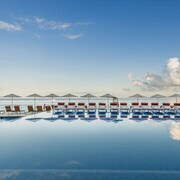 You could also check out the Rosewood Mayakoba or the Grand Velas Riviera Maya - All Inclusive. The Rosewood Mayakoba is situated 30 kilometres (19 miles) away from the center of Cozumel. The Grand Velas Riviera Maya - All Inclusive is 30 kilometres (19 miles) away. The Banyan Tree Mayakoba as well as the Viceroy Riviera Maya are two other recommended places to book accommodation in Cozumel. 25 kilometres (16 miles) away from Cozumel is Playacar, where you'll find the Piste Cyclable sur Paseo Xaman-Ha and Mahi Golf Course. 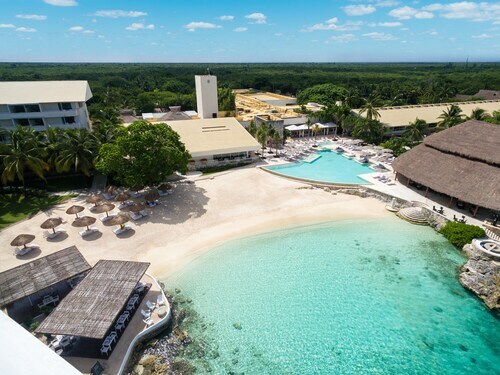 If you'd like to spend a few nights in Playacar, check Expedia's booking pages for the latest deals at the Paradisus Playa del Carmen La Esmeralda All Inclusive and Paradisus Playa del Carmen La Perla- All Adult/All Inclusive. 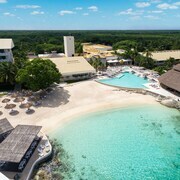 25 kilometres (16 miles) to the northwest of Cozumel is Playa del Carmen, home to the Playacar Palace All Inclusive and Royal Hideaway Playacar All Inclusive - Adults only. While in Playa del Carmen, be sure to explore the El Camaleon Golf Club and Xcaret Eco Theme Park. 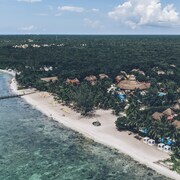 65 kilometres (40 miles) to the southwest of Cozumel is Tulum, a regional center with a population of 8,000, home to great visitor attractions like the Tulum Mayan Ruins, Tulum National Park and Gran Cenote. The Temple of the Frescoes and Playa Paraiso are also worth your time. The Las Ranitas Eco Boutique Hotel and OM Tulum are a selection of Expedia-listed accommodation options in Tulum. Just because you are traveling in Quintana Roo doesn't mean you can't indulge in your passion for all things sport. You will find Andres Quintana Roo Stadium 80 kilometres (50 miles) to the north of Cozumel. If you are keen on staying close by, make a reservation at the Smart Cancun by Oasis or Fiesta Inn Cancun Las Americas. Located 7 kilometres (4 miles) from Cozumel is Cozumel International Airport. 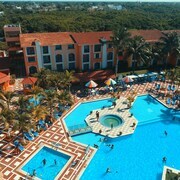 Stay nearby at Cozumel Palace All Inclusive or Playa Azul Golf Inclusive. Of course, even the most relaxed Cozumel vacations begin with a little planning. This vibrant island is simply packed with unbeatable places to stay, and you’ll find an array of resort-based activities to keep you entertained. 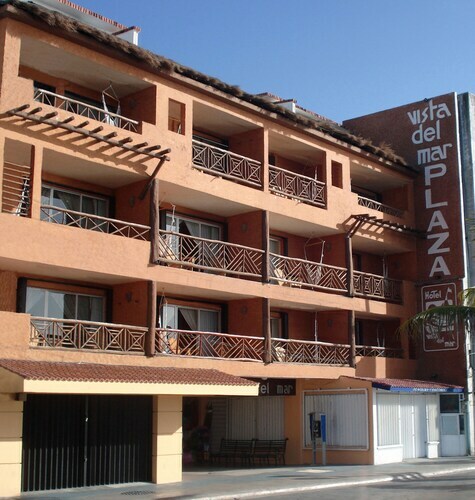 Hotels on the beach are the best options for sun-seeking travelers — Playa Palancar is a particularly stunning spot — and the all inclusive hotels provide a fantastic value for any type of tourist. However, don’t discount a spot simply because of its rates; even the most upscale luxury hotels offer last-minute deals, so you might find that the five-star resort of your dreams falls well within your budget. No matter where you choose to stay, you’ll want to save a little cash for the bevy of local tours. 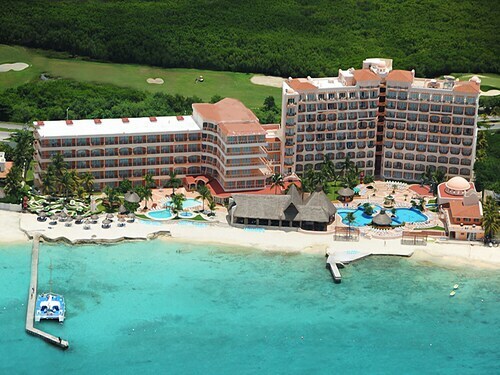 After all, the top hotels in Cozumel are just a stone’s throw from the region’s network of natural wonders. Explore the rivers in Xcater. See the ruins and pristine waters of Tulum and Xel-Ha. Get your adrenaline pumping with an off-road adventure through Quintana Roo. When you cozy up to a Cozumel hotel, anything is possible. All set to book your trip? Expedia has everything you need. Use our travel tools to search for flights, score some deals on rental cars and reserve a room at the best hotel Cozumel has to offer. We’ll even help you uncover vacation packages and attraction tickets so you can finalize your plans in one sitting. Get ready to say hola to paradise. 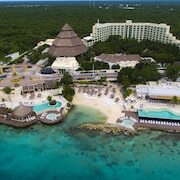 What are the most popular Cozumel hotels? Are there hotels in other cities near Cozumel? 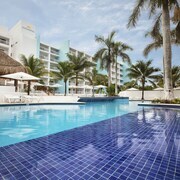 What other types of accommodations are available in Cozumel? Explore Cozumel with Expedia.ca’s Travel Guides to find the best flights, cars, holiday packages and more!